A couple in San Antonio is getting married this spring. 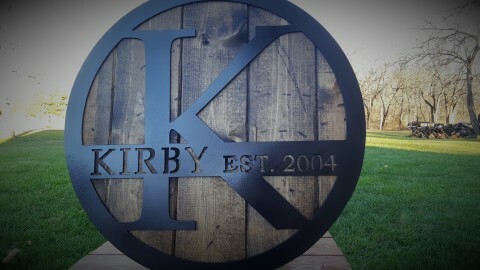 They asked me to create this design with their names and wedding date on a rusty looking piece of metal. 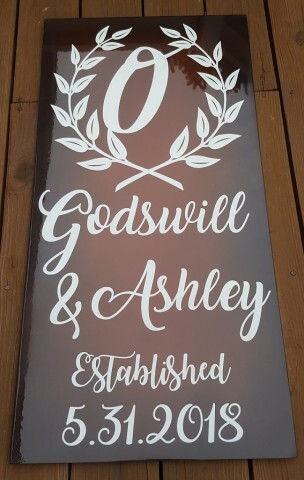 The metal is 1/8" plate with a faux rust painted background, white lettering and glossy 2 part automotive clear coat. Measures 18" wide by 36" tall and weighs about 25 lbs. 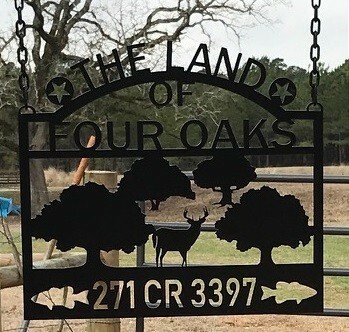 "Sign is great the whole family thinks it is a neat addition to the property!" 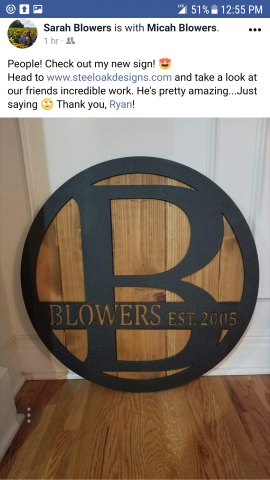 This sign was cut from a heavy 3/16" plate so the wind wouldn't blow the hanging sign around too much. D-rings shapes cut into the top corners to easily hang from the chains and finished with a nice black powder coat. 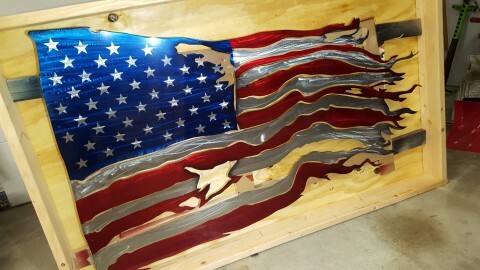 Here is a 42" flag that I shipped out to Colorado for a Veterans Christmas present. 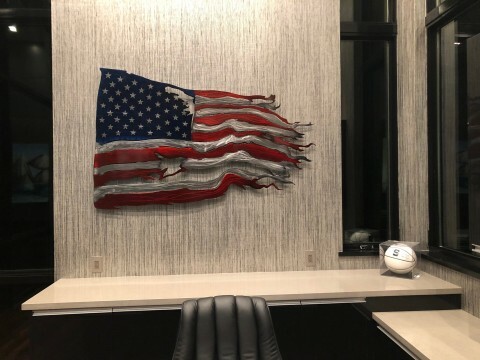 They just needed some hangers welded on the back for hanging directly on the wall above their TV. I'm also including their Facebook post with a great video of the unwrapping. 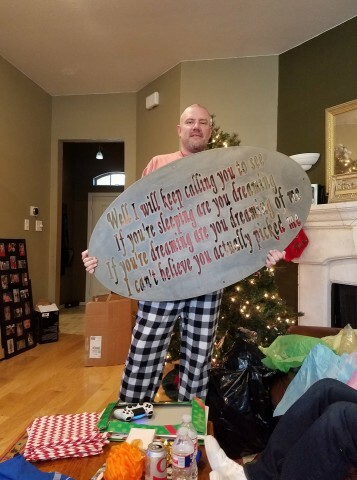 ​Lyrics from a Blue October song cut from 1/8" plate and clear coated. 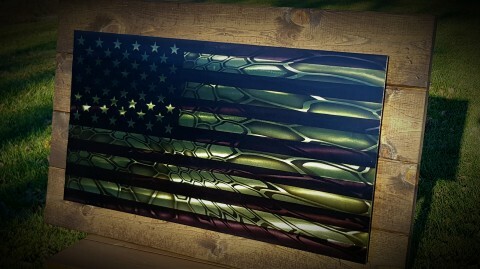 This flag has the Kryptek camo pattern inlaid into a military themed green and black American Flag. 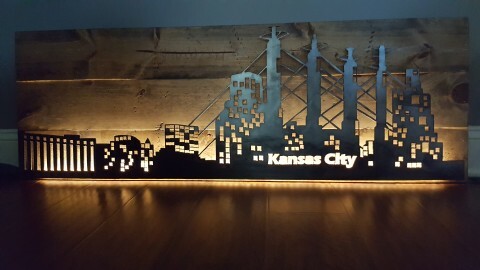 This is one of my favorites so far! 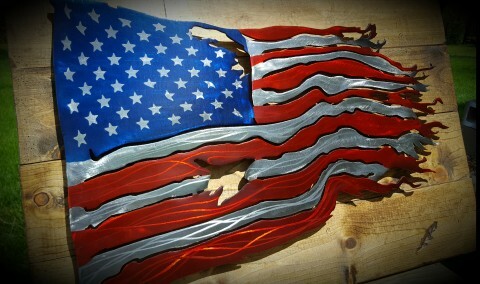 The metal flag is 1/8" plate, translucent paint with automotive clear coat and mounted on distressed wood. 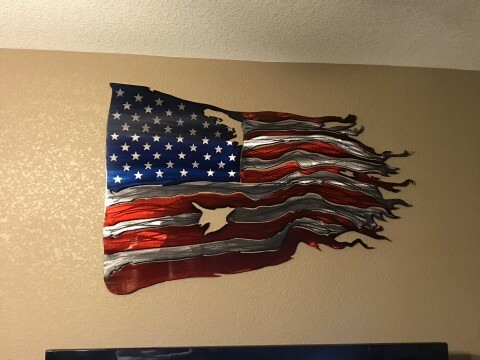 ​I made this flag for a family member who lives in Charlotte, NC. 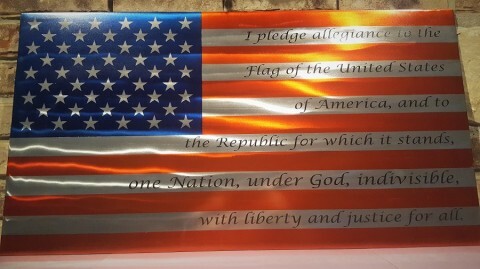 It has the same translucent paint and clear coat as my other flags but I added in the Pledge Of Allegiance into the white stripes. 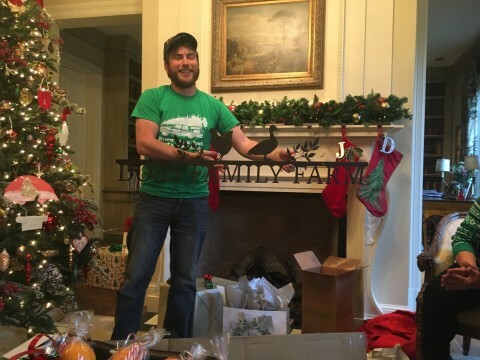 It's made from a heavy duty 1/8" plate with D-rings welded on the back side for easy hanging.